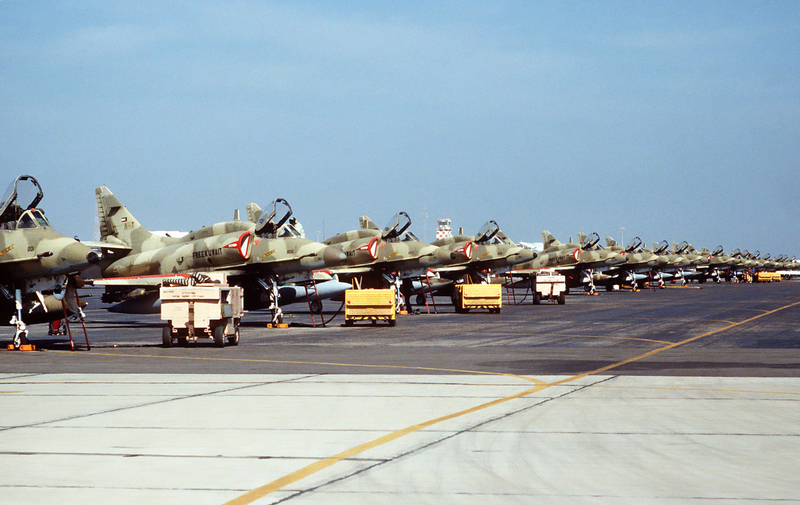 Kuwait Air Force McDonnell Douglas A-4KU Skyhawk ground-attack aircraft during the Gulf War. Photo by Tech. Sgt. David McLeod.